Get in touch with us to acquire the finest quality Citric Acid! 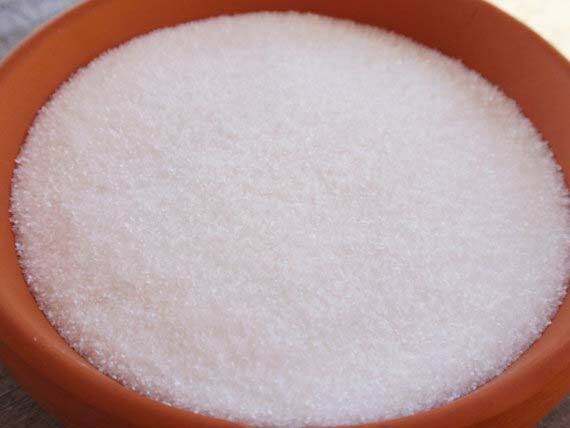 We are one of the prominent Manufacturers, Exporters and Suppliers of Citric Acid in Delhi, India. We are backed by a proficient team of personnel who formulate the chemical in accurate composition. We have the ability to deliver even the bulk orders at the moderate prices. Citric acid is a weak organic acid with the formula C6H8O7. It is a natural preservative which is present in citrus fruits. It is also used to add an acidic or sour taste to foods and drinks. In biochemistry, the conjugate base of citric acid, citrate, is important as an intermediate in the citric acid cycle, which occurs in the metabolism of all aerobic organisms. It consists of 3 carboxyl (R-COOH) groups. Citric acid is a commodity chemical, and more than a million tons are produced every year by fermentation. It is used mainly as an acidifier, as a flavoring, and as a chelating agent. At room temperature, citric acid is a white hygroscopic crystalline powder. It can exist either in an anhydrous (water-free) form or as a monohydrate. The anhydrous form crystallizes from hot water, while the monohydrate forms when citric acid is crystallized from cold water. The monohydrate can be converted to the anhydrous form by heating above 78oC. Citric acid also dissolves in absolute (anhydrous) ethanol (76 parts of citric acid per 100 parts of ethanol) at 15oC. In chemical structure, citric acid shares the properties of other carboxylic acids. When heated above 175oC, it decomposes through the loss of carbon dioxide and water (see decarboxylation).